Live Stream: Those unable to attend this year's ceremony can watch via live stream by following this link, http://bit.ly/valenciahs2019. This "live only" event can only be viewed at this link and will not be accessible after the ceremony concludes. You will not be able to search on YouTube to find the event, you must have and use the link. Graduation Ceremony: Absolutely no food or drinks, except unopened water, are allowed into the College of the Canyons Stadium. 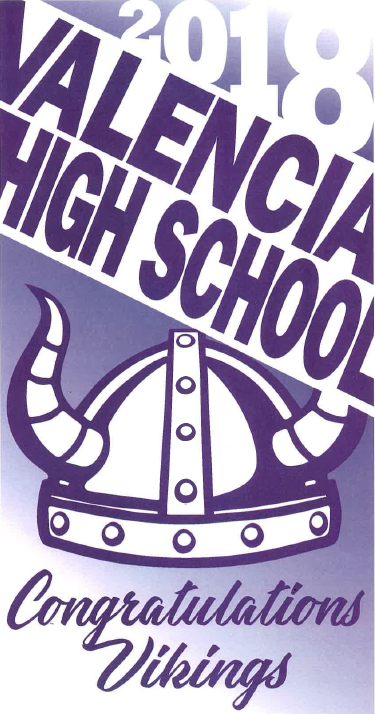 Valencia High School Prom 2019, April 13th at The Proud Bird Food Bazaar & Events Center. Tickets will be available for purchase in the ASB Office. You can visit the ASB website for more information. 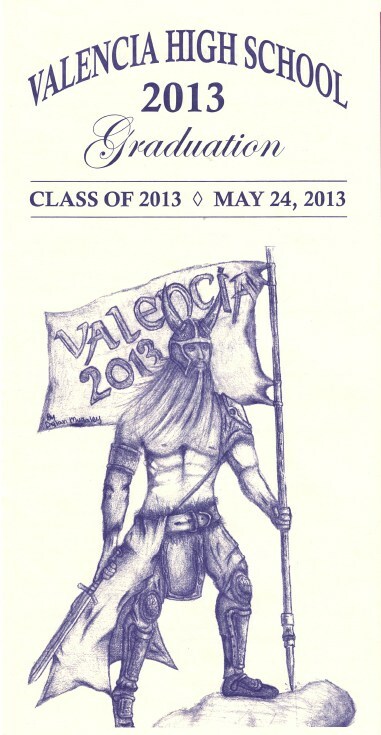 Graduation Program Cover Design Due, April 15th If you would like to design the cover for this year's Graduation Program, please submit your design to Ms. Mercer in the Assistant Principal's Office no later than lunch on April 15th. Your design should fill a 5 3/4" x 11" paper and require no more than 2 colors of ink. The program will be given to each family and graduating senior. View the Announcement Bulletin for more information. 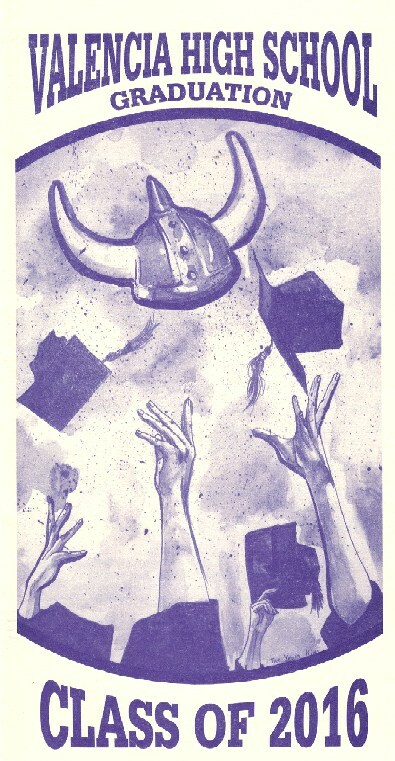 Click here to see program covers from previous graduations. Graduation Singer/Musician Tryouts, April 16th If you are interested in trying out to perform as a singer/musician at the graduation ceremony, please sign up with Ms. Mercer in the Assistant Principal's Office by lunch on April 15th. You may perform as a soloist or in a small group. View the Announcement Bulletin for more information. Graduation Speaker Tryouts, April 17th If you are interested in representing your class as the graduation speaker this year, please sign up with Ms. Mercer in the Assistant Principal's Office by lunch on April 11th. You may compete alone or with a co-speaker. View the Announcement Bulletin for more information. Final Graduation Meeting, May 1st The final Class of 2019 Graduation meeting will be held in the theater during your Govt/Econ class, periods 1 through 5. Graduation ceremony requirements and expectations will be reviewed. If you do not have a Govt/Econ class, please attend one of the meetings during open period. Attendance at this meeting is a mandatory requirement for all seniors who wish to participate in Graduation ceremonies. Senior Awards Night, May 6th Seniors are recognized for academic excellence, college scholarships, and various other achievements. All seniors are encouraged to attend and support your fellow classmates. Senior Sunset, May 21, 2019 Sign yearbooks and watch a movie with your classmates. 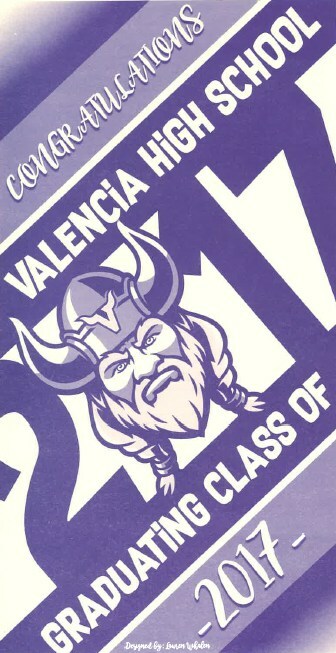 Yearbooks will be distributed in the MPR and a movie will be shown in the quad. Refreshments will be provided. Graduation Recordings, May 21st through 23rd Record a special message to your family that will be played prior to the start of the graduation ceremony. Recording will start during Senior Sunset Night in the ASB office. Don't miss out! Final Exams, May 22nd All seniors will need to arrange to have finals completed by this date. Cap & Gown Issuance/Senior Panorama Picture, May 23rd Seniors will pick up their cap & gown and take a panoramic picture with their entire class dressed in caps & gowns. Order forms will be distributed at the Final Senior Meeting. Library and ASB Debt Clearances, May 23rd Students must return library books and pay any outstanding fines in the ASB office by this date. All financial obligations must be paid BEFORE graduation tickets will be issued. Grad Bash '19, May 23rd at Universal Studios Hollywood. Limited space is available. Permission slips are required to attend and will be available in the ASB office. All students must take a bus to Grad Bash '19. 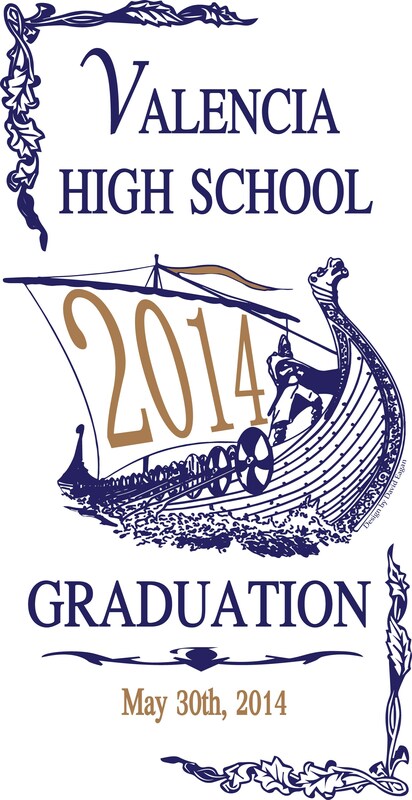 Graduation Practice, May 31st @ 8:30 am, Breakfast @ 7:30 am This mandatory practice will prepare you for the ceremony. You will be expected to know your assigned seat number when you arrive. Seat numbers will be posted outside the Assistant Principal's office the week of graduation. Breakfast will be served at 7:30 am. Graduation tickets will be distributed. The pictures taken at the 2018 Graduation Ceremony can be viewed and ordered on the O'Connor Photography website. You will be required to enter your email address to gain access to the photographs. Please follow the link below to access the VHS Graduation 2018 page of O'Connor Photography's website.